As one might expect from a combination of the three warriors Blacker, Laster and Braver, he is a giant hero full of indomitable fighting spirit. 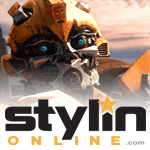 If Star Saber is king of the skies, then one could easily call Road Caesar king of the land. With these two kings teaming up, there's no need to fear the Destrons. Abilities: Contains the three symbols of good, the Brains of Strength, Skill and Intelligence. 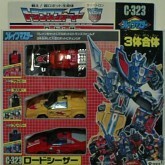 The exceptional abilities of these three are combined into one, resulting in mobile power equal to Star Saber's. Final Attack: The Brain Wheel Shocker, in which he launches super energy rings from all his tires. Even the Destron's Liokaisar is no match for this. Gift set release of the Brainmasters Blacker, Braver and Laster. 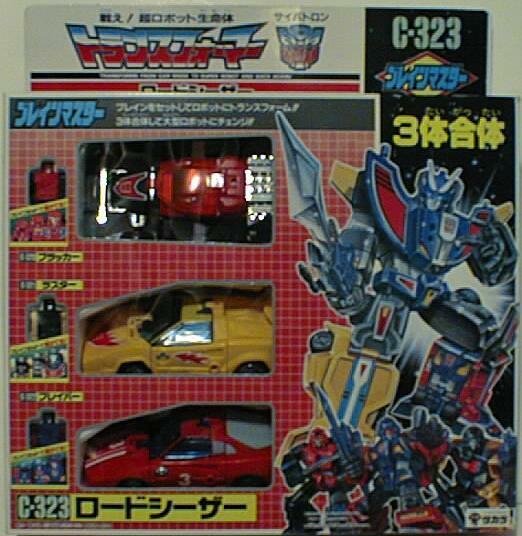 Note that although Blacker, Braver and Laster were released overseas as the Motorvators, Road Caesar was not available outside Japan because the international releases left out the combining parts. The exact reasoning has been a matter of debate for Transformers fans for years but might be related to a perceived lack of marketability for combining Transformers at the time of their release... or maybe they just lost the accessory molds. The literal translation of his function, "Sanjuu-gattai-kishi," is "Three-Gun Gestalt Knight." However in the opinion of translator Doug Dlin, the less literal three musketeers ("Sanjuushi" in Japanese) fits better. Given the team's emphasis on swordplay both in the series and as toys, this editor agrees.